Federal is among the most trusted manufacturers of 223 Remington ammo in the world. We're excited to offer Federal's American Eagle branded 223 ammo for sale, designated as AE223BK. This package of 1,000 rounds of brass cased ammunition contains rounds that are boxer primed and are loaded with 55 grain FMJBT (full metal jacket boat tail) projectiles. Specially bagged and boxed to feed your hungry rifles for a long range session, these rounds leave the muzzle with a velocity of 3240 feet per second. These rounds will provide consistent performance the next time you want to blast away during an extended range session with your AR-15. 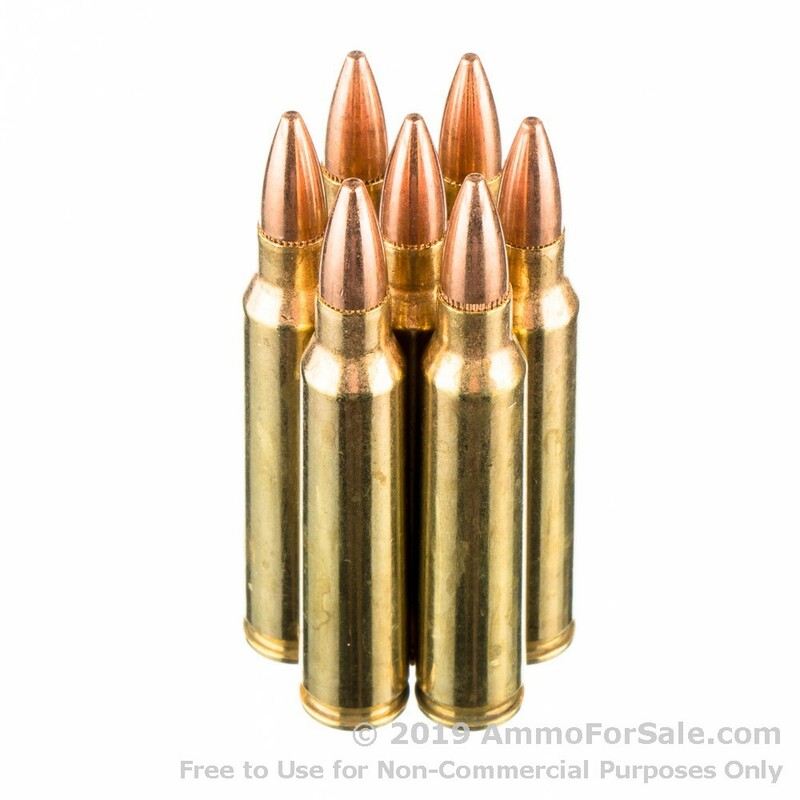 These full metal jacket boat tailed rounds will make your time at the range a great experience. 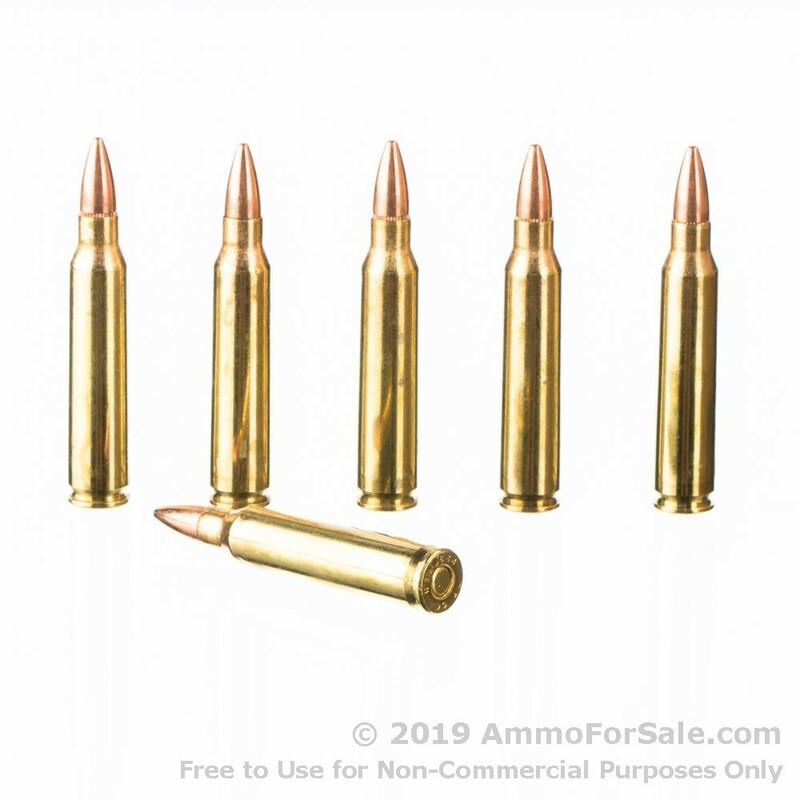 Conveniently bulk packed to save your hard earned money by eliminating individual cardboard boxes, this ammunition will give your wallet a break and give you hours of range time. The 55 grain loading is one of the more popular sizes to shoot in rifles with a barrel twist greater than 1 in 9-inches. Federal ammunition is loaded using the highest quality components manufactured in-house and exceeds all US Military and NATO standards. Regarded as an industry leader for close to a century, the company was founded in 1922 and is headquartered in Anoka, Minnesota. In addition to manufacturing quality ammunition, Federal famously produces all of their components in house. Their primers, brass and projectiles have long been the first choice for professional shooters and reloaders throughout the world. 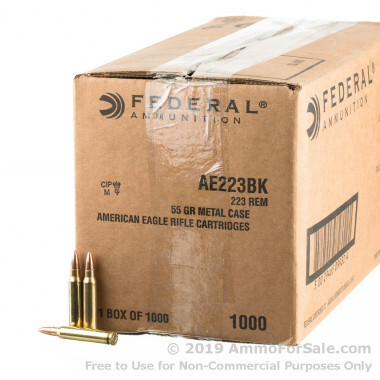 Although the American Eagle brand is priced for volume shooting it offers the same quality brass cases and dependable primers as Federal's Premium line of ammunition. These rounds are ideal for the serious shooter who wants to get the most of their range time. Hi Jordan, This product is one single case of 1000 rounds. It is loose-packed. Hi Fred, We do not require any special paperwork beyond what your state may require for ammunition purchases.